One tragic event and two acts of generosity brought the BGG community together: the result was the Jack Vasel Memorial Fund. In January 2011, Cate Pfeifer (Cate108) posted an auction for Tom Vasel and his family to help with the financial hardship related to the unfortunate loss of his son, Jack. The generosity of the BGG community was amazing. Tom was touched and wanted to pay the kindness forward so he created the Jack Vasel Memorial Fund. He used some of the money that BGGers donated and spent to build this fund. The fund is a not-for-profit with a simple goal: raising and distributing funds to help gamers in their hour of need. 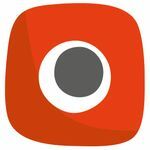 Are you (or is someone you know) a member of the public that is part of the gaming community who has suffered a personal hardship? The gaming community's generosity up to this point has been amazing, and we anticipate you will continue to amaze us. However, we are not just here to raise money, but also to do good. Please contact the Jack Vasel Memorial Fund if you believe you are a member of the gaming community and have suffered personal hardship. Tom and the rest of our Board of Directors are happy to work with you to explain our eligibility criteria, confirm your situation is within our mission statement, and then provide assistance. You can fill out an application for help online here. Visit JackVasel.org for more information. So how does this auction work? Both individual and business donations are welcome. Unusual game items are very welcome. You can also list items of general geeky goodness as well (electronics, comics, geekgold, half pony/half monkey creations, etc...). 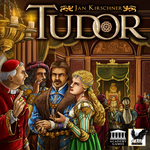 This list is active in BGG, RPGG and VGG. Items in all three genres are welcome. You may set minimum bids. If there is a minimum dollar amount you are comfortable letting the item go for, please state that in your item description as a minimum bid. Please do not publicly complain about low bids. Set a minimum bid if you are not comfortable with letting something go for as little as $1 (an extreme, but possible, example). There are no standard shipping requirements - please select those that suit you (i.e. "Free worldwide shipping" or "Will pay first $15 towards shipping" etc...). You may also state that buyer pays shipping - again, whatever you are comfortable with. There may be no more than one winner per geeklist item. If you are giving away 5 copies of a game, please list them all separately instead of saying that the 5 highest bidders get one game each. No BIN (buy it now) auctions, please. Please do not delete an item once it has been posted. There is a lot of administrative work going on behind the scenes and disappearing items make for a headache! If you must retract an item you have offered, please contact one of the auction admins listed at the bottom of this post, and we'll help. To bid, simply reply to an individual item with your bid amount. All bids must be listed in USD and be in whole dollar amounts. When you bid, please subscribe to the item(s) you are bidding on. This allows you to be informed when outbid, in case you want to bid again. Please bid generously. Remember this is for charity! Once you place a bid, please do not modify or retract your bid. We understand that sometimes financial issues arise that are out of your control. If you absolutely must retract your bid please contact one of the auction admins listed at the bottom of this post. If you receive permission from the admins to withdraw a bid you will be asked to no longer bid on new items until you restore the withdrawn bid. When does the auction end? What happens after that? The auction ends at 11:59pm server time on April 6th, 2019. This means that we will not accept any bids with a timestamp of 12:00 a.m. or later the night the auction closes. (Please note the anti-sniping rule below). Server time is CDT (GMT -5). Once the auction has closed, an official volunteer will announce the winner of each item and post instructions for payment. All payments for winning bids will be made through PayPal directly to the Jack Vasel Memorial Fund's PayPal account - not the person donating the item (separate shipping costs may need to be paid to the donor if specified in the item description). To be clear - ALL payments must be made via PayPal - no exceptions. We are sorry for any inconvenience this may cause. 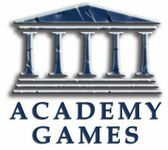 A big thank you to BoardGameGeek and the kind folks who run and administer this site. 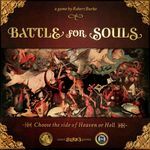 Given the nature of this auction, sales do not need to be run through the BGG Marketplace, as the admins have kindly agreed to waive the commission for sales in this auction. 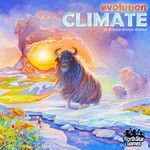 This is a huge donation in itself, so thank you BGG! All proceeds generated by this auction go to the Jack Vasel Memorial Fund for our charitable work. You can check the JVMF website for examples of how our organization is helping the gaming community. Above all this is a charity auction. In addition to bidding generously, be good to each other! If any disagreements arise during the auction please attempt to resolve them via personal GeekMail and keep item and GeekList comments clear of arguing. If there is a situation that cannot be resolved, please bring it to the attention of the auction admins. ANY complaints about someone else's bid, whether on your item, or someone else's will not be tolerated. This includes public complaints about perceived "low" offers, being outbid by one dollar, and things like that. We're not talking about good-natured challenging of people to increase their bids. We're talking about being clearly annoyed at someone and trying to let them and others know it. If you have an issue, deal with it in private, or contact an auction admin. We have a very simple anti-sniping rule: If a bid comes in within 15 minutes of the end of the auction, the auction will be extended on that item by 15 minutes. Each subsequent bid resets the 15 minute clock on that item. It's not perfect, given the fact that someone will always be in bed or at work when the auction ends, but it's the most reasonable and manageable solution. Get your bids in early and hopefully none of this is an issue! But in the interest of being good to each other, please do not deliberately place "snipe bids." Auction admins will ultimately settle any disputes as fairly as they can - but let's not let it get that far. If an admin makes a decision, please accept it with good grace, even if it goes against you. The Jack Vasel Memorial Fund Auction is run by a group of volunteers under the authority of and in coordination with the Fund's board of directors. If you have any questions, don't forget to check the FAQ or contact the appropriate administrator from the list below. A special THANK YOU to all of the other volunteers: Jormi_Boced, Common Man Games, acreman, theercs, partangel, Elephantgirl, balzi, Feenix1363, GalaGalaxia, zippy1979, bayushikira, bobondi, Clamjamfry, hockeyking9, cvdellen, bmsoltis, Adria. It's a much tougher job than you might think! If you have a moment, let them know how much you appreciate their help with the auction. How Can I Support the Fund Year-round? AmazonSmile is a website operated by Amazon that lets you enjoy the same wide selection of products, low prices, and convenient shopping features as on Amazon.com. The difference is that when you shop on AmazonSmile (smile.amazon.com), the AmazonSmile Foundation will donate 0.5% of the purchase price to the eligible charitable organization of your choice. The Jack Vasel Memorial Fund is an eligible charitable organization. The Jack Vasel Memorial Fund is listed as an eligible charity for donations. On the main page you can find "If you would like to support a different charity, select a new one from our database of thousands" and search for Jack Vasel Memorial Fund. There is also a choice to search for the Fund when checking out from the Humble Store. When creating an eBay listing, you can check the box for "Donate a portion to charity" which allows you to designate the Jack Vasel Memorial Fund as a recipient. First of all, THANKS to everyone participating in this auction! This item is for a box of games. A large box of games, both great and terrible. Some will be new, fabulous games, and some won't. There will be other items included also. Most games will be opened. We've done this every auction, and each receiver has been happy to get the box of goodies. So who wants an instant game collection? NOTE: If the total here exceeds 5000 , I will roll over the rest into another GeekGold Listing. Why would anyone want GeekGold, you ask? Well for starters, you can buy fabulous microbadges made by fabulous microbadgers. 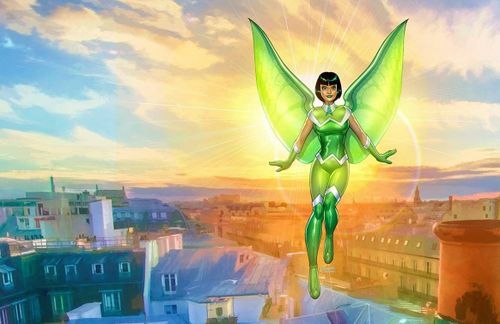 But the REAL reason you want is for the magnificent Games4Geekgold Lotteries here on the geek. So keep an eye on the running total here and bid accordingly! For fun, let's combine my love of Games4GeekGold lotteries with my love for this Auction. Everyone who donates at least 1 to this item will receive one entry in a drawing that will take place at the end of the auction. To be clear, only one entry per person, but feel free to drop as much as you want. There is a BGG sanctioned automated tool for this, so you'll be able to see I picked fairly. What you will get is a mystery - it might be big. It might be small. It might be a game. It might be candy. It might be both of these things or neither. Double Bonus - All GeekGold raised from THIS G4GG ITEM will be added to this auction. Cross promotion at it's best! So head over to the G4GG lotteries for ANOTHER chance at winning a prize package!! Anyone who donates at least 50 to this auction item (or auction geeklist) will also receive a at the close of the auction as an acknowledgement of your contributions to the auction (the microbadge will be handed out to anyone who wins an item or posts an item as well). Sure, the Easter bunny will bring chocolates and candy. 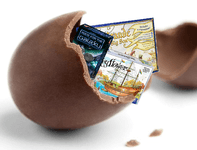 But what if the Easter bunny brought what you really want ... board games! Well, that's where Easter Bunny 2.0 comes in. I will look at your wishlist, maybe ask you some questions, and ultimately send you a package directly from CoolStuffInc. I buy there locally, but everyone says free shipping* is the way to go. I agree. That means you will be receiving at least $100 worth of stuff. The more you bid, the more awesome I will add. *Shipping: If you are in the 48 contiguous states (or D.C.), the shipping will be free. Outside of that I will work with you to minimize shipping by using a local store if possible, but please be prepared to pay actual shipping costs. Also note that I am sending you a pile of games, so this may be expensive to ship. I love Euro games. A lot. I also own quite a few that have gone far too long without being played. That's where you come in. 1) You love Euros, too. You're awesome! I'm gonna put together a box of games that's gonna make your Euro-loving heart swoon! Big ones, small ones, hard to find ones, promos, all sorts of coolness. I'll peek at your collection to make sure I'm not duplicating anything you already own. Beyond that I get to choose what I think is gonna make you happy. 2) You aren't really into Euro games. That's okay. I won't judge. But I am going to do my best to change your mind. I'm gonna see what I can find that will draw you in and make you give them a fair shake. And, if it turns out you still don't like them... They're going to make a wonderful gift for someone else (no shame in regifting) or a great thing to list in the JVMF 2020 Auction. Regardless, I want to send you a big box of Euro game goodness from my collection. All will be either very lightly used or new. It will be stuff that I think is amazing and I want to share with someone who loves Euros (or someone who is about to love Euros)! Shipping-I'd like to send you enough that you'll say to yourself, "Wow, that's a lot of Euro game goodness!". If you're in the US, I'm going to cover the shipping, but elsewhere... I'm sorry, I just can't do it. I will chip in the first $50, but you'll need to figure out the rest. So, if you're outside the US, please keep that in mind. Thank you for supporting the Jack Vasel Memorial Fund. 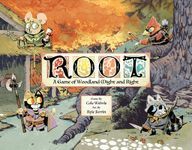 This auction is for a one-of-a-kind piece of artwork from the fantastic Bethany Schwartzkopf based on the beautiful artwork of Root. 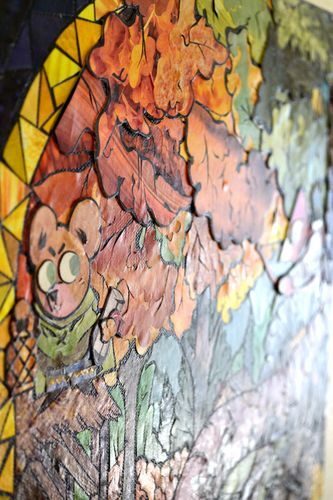 Specifically, this artwork is made in a sort of "Stained Glass" style - All hand cut magazines with scissors (no paint/ink etc... just paper, scissors, and glue) and finished with Mod Podge. This auction is for a complete boxed copy of a prototype designed by Bobby West and myself (Alan R. Moon). We are currently working on quite a few designs so I'm not sure which one I will send you. Our first game together was AFTERSHOCK which has just ended on Kickstarter. 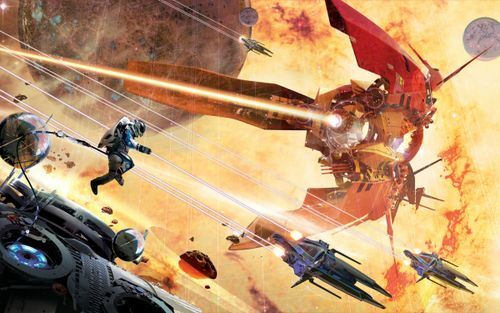 Our second game FOLDING SPACE will be on Kickstarter in April. I'm also not sure when you will receive it, but let's say sometime this year or 2020. You will likely receive the prototype 6 months, a year, or more before it is published. You will be able to playtest long before anyone else sees it. And you will be listed as a playtester in the published game. Of course, you will have to pinky swear that you'll keep everything a secret until I give you the okay to talk about it. When the game gets published, I'll send you two copies of the published game. I listed this item in the 2017 auction (see the listing here). The winner received an early version of AFTERSHOCK in mid-2018, and then the updated files some months later. Will pay up to $10 in shipping charges. Strawberry Studio will design a brand new game for you! 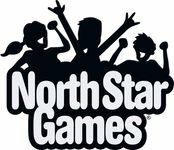 The game will be a family weight game similar in size to other games in our line. We will also create a physical copy and send it to you. In the event that Strawberry Studio decides to properly publish the game at a later date, the Jack Vasel Memorial Fund and your generous contribution will be prominently mentioned in the game rules. You would also at that time receive 5 copies to share with family and friends. This auction is for a huge, 167-piece upgrade kit, of awesome painted dinosaurs for the Dinosaur Island base game, and the "Totally Liquid" expansion! 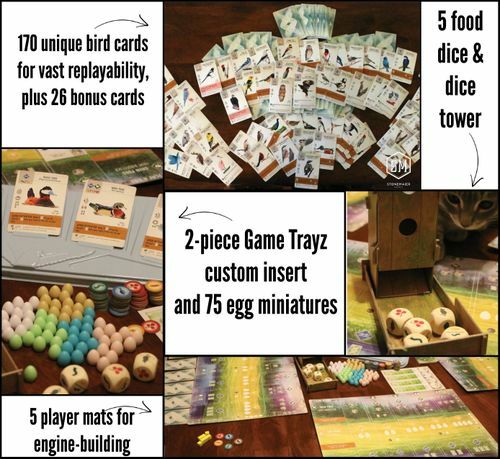 These were featured in a recent kickstarter project by Meeple Source and are still in production. 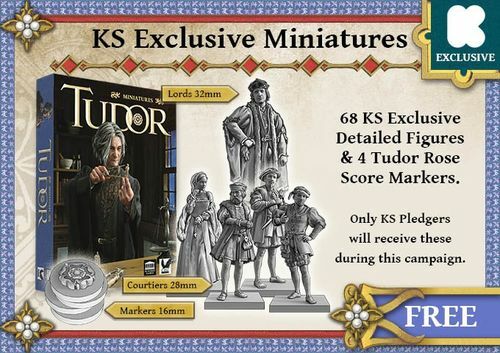 The winner will receive a set when that kickstarter delivers (expected date is November 2019). Free shipping, to anywhere in the world! Every game in the Evolution series. We will also add 1 copy of every Evolution promo item that we have in the office. - Evolution video game on IOS, Android, or Steam. We all know you are trying to give up something for lent, but board games is not one of those things! Come bid on this item and win at least $100 worth of random junk. You might even get it all before the next auction, but there is no guarantee. Because I will order things from random sources that hold games for months or even games that are not even released yet. You make the bid, I will look at your wishlist, ask a question or two, poke around on your profile, and maybe see who your friends are, to ask them some question about you. Once all this is done I will work with someone to ship you some games. That means you will be receiving at least $100 worth of stuff. 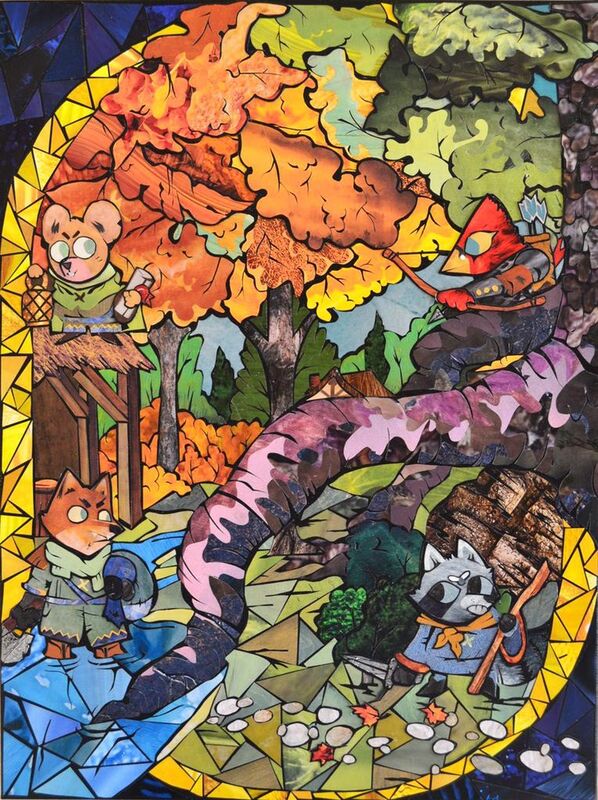 I'm straight stealing this cause I like it - The more you bid, the more awesome I will add. 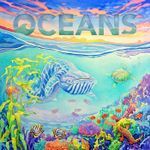 *overseas shipping does impact the overall value, but I will work as best as I can with local vendors or overseas online sellers to bring as much bang for the buck as I can. 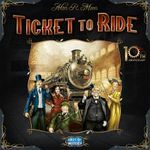 Ticket to Ride 10th Anniversary Edition sealed new. Have a fancy Networks + Executives set! The base Networks game and Executives will be in shrink. Fancy Bits comes in a baggie. Free shipping to the US, Canada, the UK, and Europe. 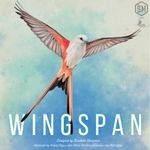 Stonemaier Games would like to offer a fresh-off-the-press copy of the third printing of Wingspan. We will ship from St. Louis to anywhere in the world (we'll pay for postage, but we're not responsible for local customs fees you may incur). 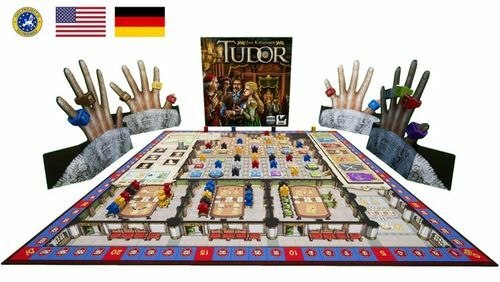 Stronghold Games is proud to offer this Wolfgang Warsch - Stronghold Games Collection: all games currently announced by Stronghold Games by the hottest designer in the hobby game industry now, Wolfgang Warsch! A brand new copy of Betrayal Legacy, autographed by as many of the members of the design team as I can wrangle up. 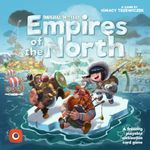 Portal Games is proud to offer this signed copy of Empires of the North! personally with the winner of the auction. Includes cloth playmats, velvet bags, metal pieces and much more. 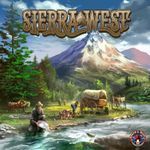 Board&Dice is delighted to offer a pre-release copy of Sierra West, our big release for GenCon 2019, to be delivered before its release date (barring any unavoidable circumstances). Shipping: Free to the contiguous 48 United States. We cover the first $15 everywhere else. Note: If the highest bidder resides outside of the free shipping zone we are unable to guarantee delivery before the release date. We will do our best to get the game to you as quickly as possible, subject to your location and transit times. 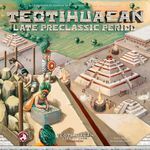 Board&Dice is excited to offer a pre-release copy of Teotihuacan: Late Preclassic Period, the first expansion for Teotihuacan: City of Gods, having a limited release at GenCon 2019 and released in full at Essen 2019, to be delivered before its release date (barring any unavoidable circumstances). Note: If the highest bidder resides outside of the free shipping zone we are unable to guarantee delivery before the release date. We will do our best to get the expansion to you as quickly as possible, subject to your location and transit times. There are only a few left on this planet. One of them could be yours. This is the game that never was. 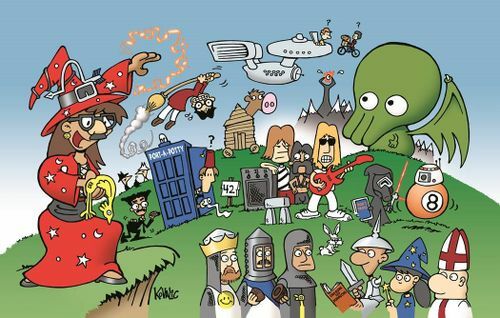 We had an idea for a 10 year anniversary edition of Wits & Wagers to be released in 2015. 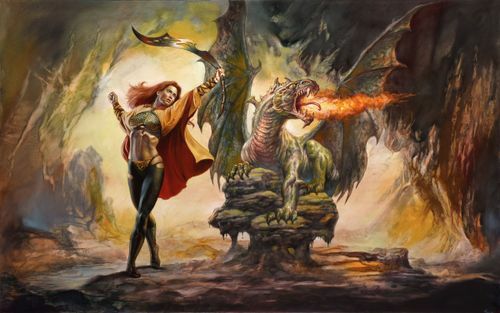 We spent years testing it, got art from folks like Boris Vallejo & Julie Bell, Jimmy Palmiotti & Amanda Connor, and Jon Kovalic. We made 100 copies to show press, but after further consideration, we decided to head in a different direction with the project. Don’t worry - all of this work did not go to waste! We keep reiterating the concept to make it better. The final version will get released as a team game in 2020 called Super Wits. Of those 100 copies of the Epic Geek edition, more than 50 were tossed in a dumpster. We only have a few left in the office. 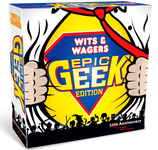 So that means there is an edition of Wits & Wagers with LESS than 50 copies in existence. It is a VERY RARE collectors item with a lot of fun art (that will hopefully get used in a future project). You will get one of the last remaining copies in the known universe. The Great Zimbabwe sealed new!